We announce with joy that Hector Corona & Silvina Machado will visit us once again to Hong Kong. All of us are looking forward to meet them once again, awaiting them to share their Tango with us in the workshop and watch their spectacular performance in the Grand Milonga. Trio Spin Tango Workshop 2016 will be held on 22 April to 26 April 2016. 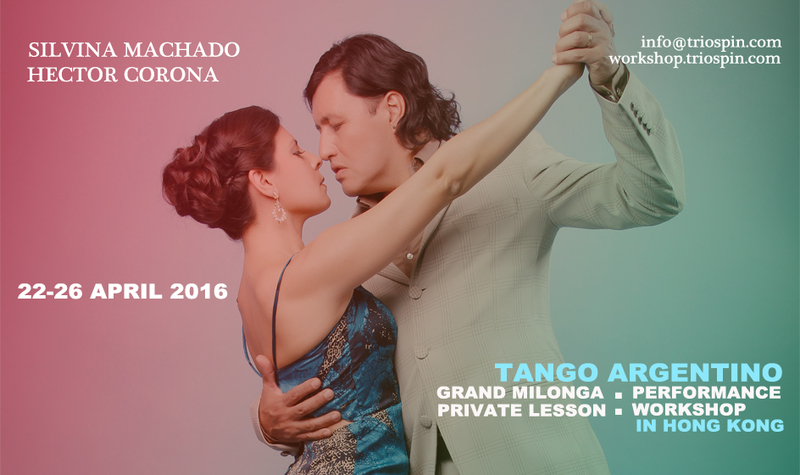 The Grand Milonga will be held on 23 April 2016. Please stay close to us via workshop website and Trio Spin Workshop Facebook page. You still not yet join our Facebook page. Please join it now! !